Although seemingly simple to execute, the denim on denim trend needs some thought, but more than anything it needs someone who can pull it off effortlessly. We picked out some of our favourite pieces for Haiya Bokhari; an ethnic statement jacket paired with matching denims, and a striking neckpiece. 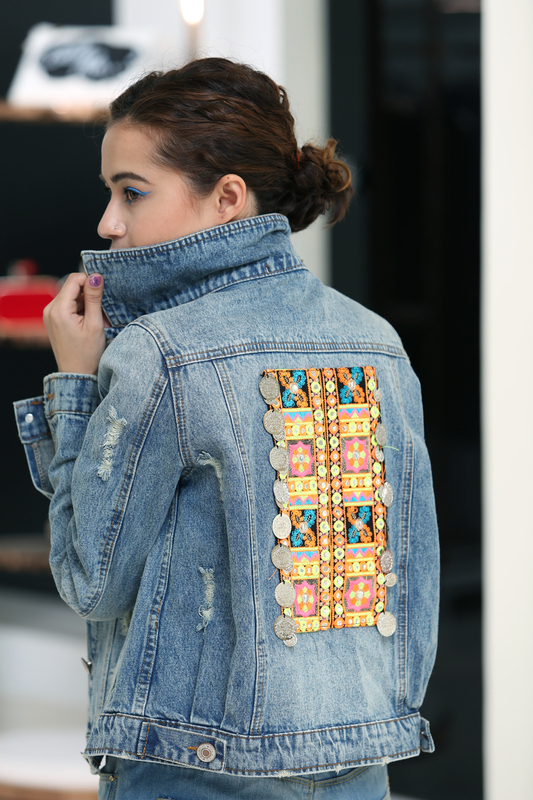 The embroidery of vintage coins provides a twist to your quintessential denim jacket, making this outfit without a doubt, the declaration of a true rockstar! At this point, letâ€™s consider camouflage to be a staple of the modern warriors wardrobe. We paired this on point jumpsuit with forest owl earrings and a gold spike bracelet, to give Anaum Hammad a true texture clash, and the drawstring rope that accentuates her waist just tied the whole look together. Channel your inner soldier and embrace the camo! The neo grunge days of the 90’s are back, and fashion is now all about the throwback. Highlighting the fierceness of a woman, without eradicating the essence of femininity, Hira Ali opted for girlish essentials in solid colours with an olive green patchwork bomber jacket to create that casual ruckus in her look. Proving to be one of the hottest trends this season, with off shoulder tops, ethnic prints with patterns and flower crowns, the boho chic look is taking the fashion scene by storm. 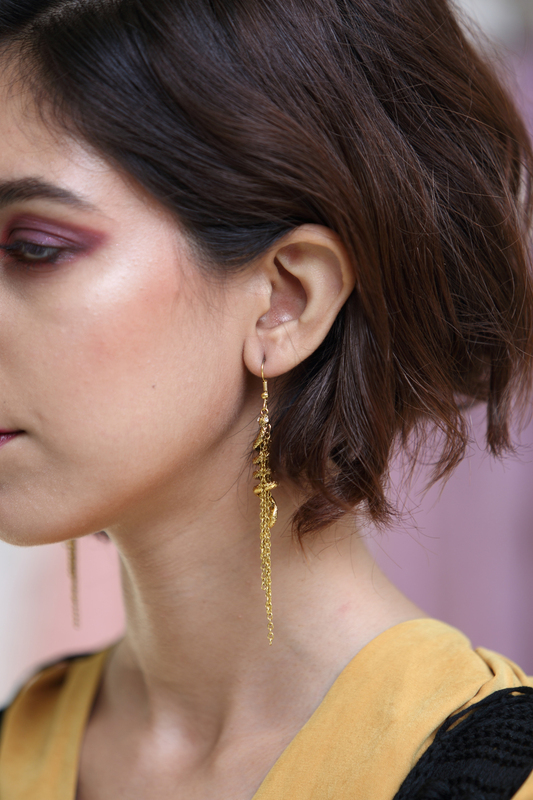 To add some depth in Anaumâ€™s look, we gave her a magenta lip to compliement her firozi flower choker and blush off shoulder top that were paired with frayed boyfriend jeans. Best of all? Those floral printed Odd & EVE by Q5 chappals, that take the edge factor of this look up a notch. 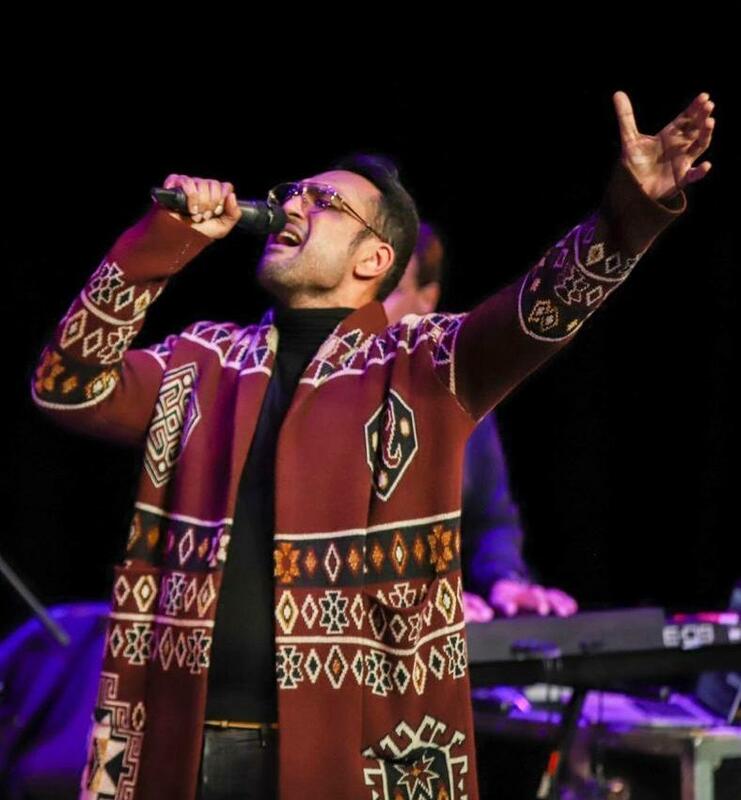 The 70s’ are alive and well, and this season is all about spreading peace, love and patchwork. With mixed-media accessories and mismatched prints, Haiya rocks these patchwork dungarees and stark white off shoulder top. 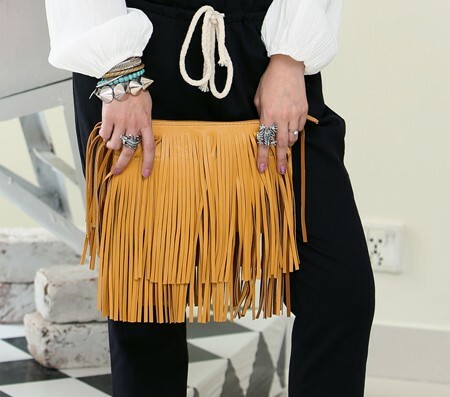 To provide the perfect colour block, she accessorized with a mustard fringe bag and white canvas shoes. 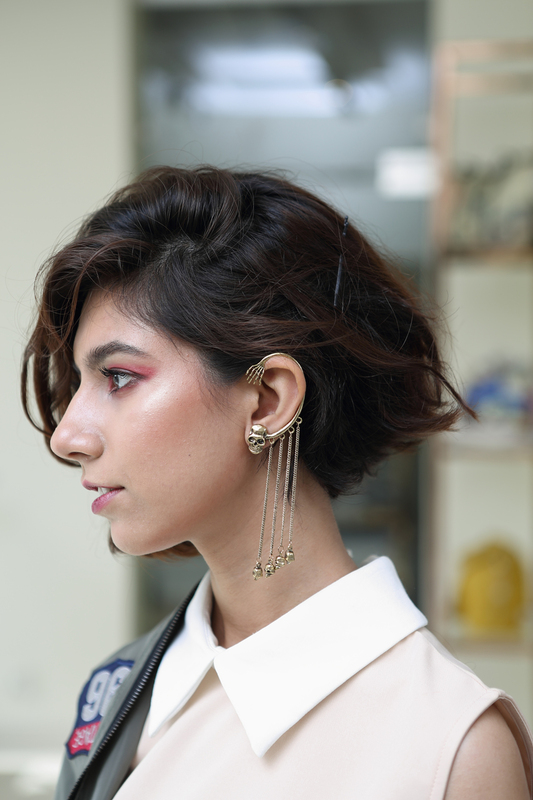 Hira decided to change it up and show how versatile her look truly is. We gave her a beautiful floral dress and printed heels, and accessorised with a pale pink backpack which broke down the formality of the dress and shoes. The pastel accents of the dress created a striking contrast with Hiraâ€™s crimson eye shadow and edgy hair. 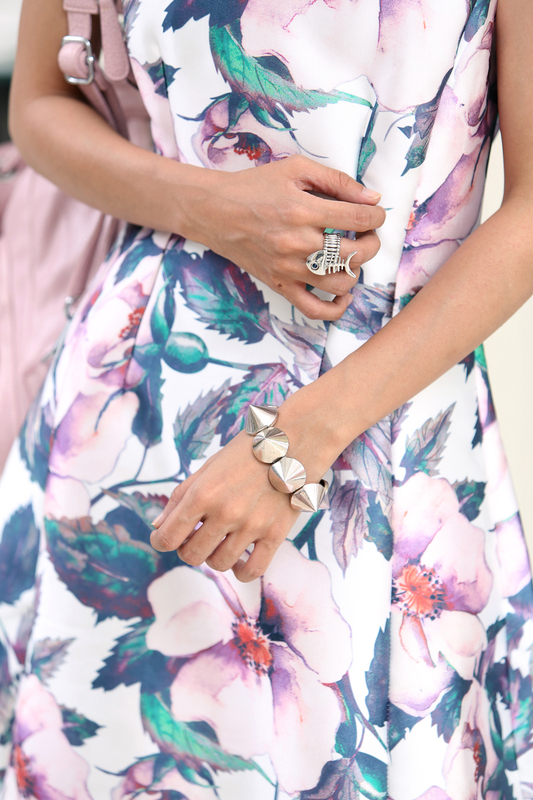 To finish off the look, go with some quirky bling for subtle hints that show off your personal style. The 20’s were all about glitz and glamour, which Anaum personifies in these black flared trousers, crop top and baby pink draped vest. 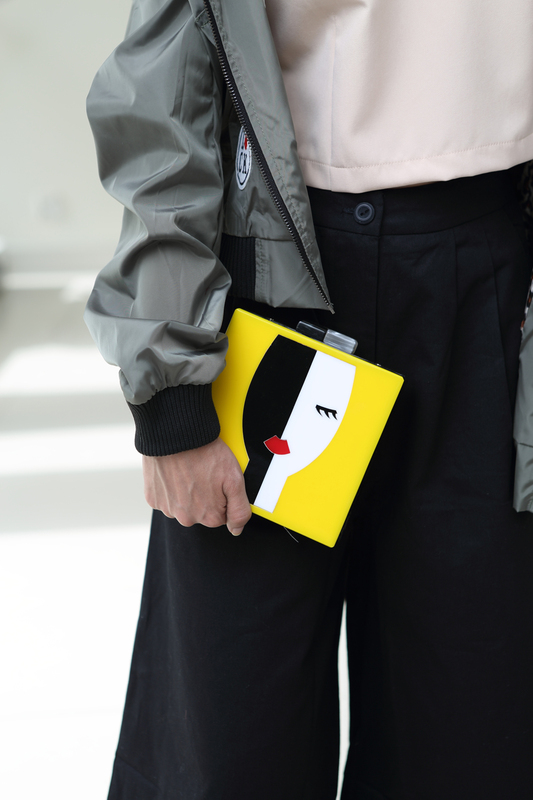 Providing a very sleek silhouette, we jazzed up this elegant look with a statement necklace, and a quirky book clutch. And of course, some double sided pearls, because youâ€™re not truly ready for a night out unless you’re sportingÂ some classic pearls. For Hiraâ€™s last look we paired together a mustard jumpsuit and textured fringe vest. Her auburn locks and gold spiral earrings accented the earthy hues of the outfit. 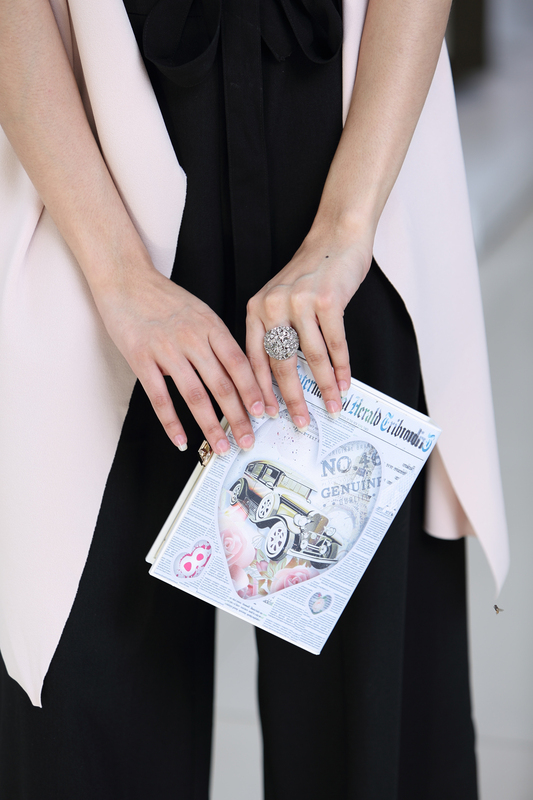 Her communiquÃ© clutch that read â€œDrunkâ€ send out a serious piece of advice – be drunk on love, life and laughter. Oh, and fashion of course! Eclectic is how we prefer to describe this look. Accessories are a necessity for this wild and chic ensemble, and Haiya’s individualistic style sense couldnâ€™t be more fitting. Keeping in mind the softness of her face, we chose a lavender pencil skirt with a matching top to introduce structure. 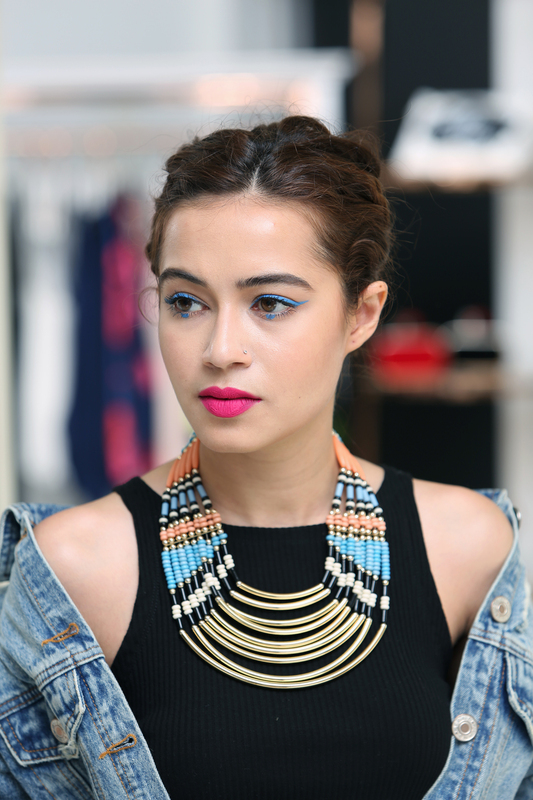 Her dangly evil eye earrings and blue liner add a pop of colour and edge, while the white bomber tied around the waist adds to her carefree vibe.